Cleaning your windows at home can be a time-consuming process, but with a few simple tips, you can soon have them looking spotless and ready to let in the summer sunlight! Whether or not you’re the kind of person who thrives in the summer heat, there’s one thing about summer that everyone can agree on: namely, that nothing feels more invigorating and energising than seeing bright sunlight streaming through your window after a dark winter and a rainy spring. However, for a lot of people, this essential summer perk is likely to remain purely theoretical, due to all the grime they’ve allowed to build up on their windows. This is understandable, to a degree – after all, windows are unique in that they’re at risk of accumulating dirt from inside and outside the house at the same time, and their transparent nature means that any marks and stains stand out in a way they wouldn’t on any other surface. All of this means that many homeowners end up neglecting their window maintenance, especially during those cold months when the prospect of climbing around outside with a wet sponge is the last thing on your mind. But now that summer is rolling in again, it’s time to bite the bullet and get those windows looking sparkling again – and there are a few tips you can follow to make this process as “pane-less” as possible. So how exactly can you use vinegar to clean your windows? Summer is the perfect opportunity to give the windows a polish, but make sure you don’t fall into the trap of thinking that means you ought to pick the brightest, sunniest day to make a start on the cleaning. Certainly, the glaring light will make it easier to spot all the dirt, but the warmth of the sun is also likely to dry out the glass too quickly, leaving unsightly streaks all over your newly-cleaned windows. Naturally, it’s just as pointless trying to clean outside in the pouring rain, so it’s best to pick a day when there’s a bit of shade and cloud cover, or to at least wait until the temperature has cooled down a bit. If you’re really keen to get going and the sun’s still blazing, then maybe make a start on the windows that aren’t directly exposed. Cleaning the windows also gives you an opportunity to give the curtains and blinds a bit of a freshening-up. It’s important to remember that any cleaning you’re doing with the curtains, blinds or sills should come before tackling the windows themselves. If you do this in the wrong order, then any water that drips down on to a dusty surface below will create an unpleasant sludgy mess – and more work for yourself that could have been avoided. Getting your windows looking as good as new can be a difficult task to tackle alone, so don’t be afraid to ask for assistance! Many hands make light work, after all, and having friends and family around can allow you to work safer and more efficiently. Alternatively, for the easiest possible solution, you could always call in a professional window cleaning service such as FastKlean. Whether yours is a residential or a commercial property, we can rid your windows of dirt, dust, residues and contaminants, leaving them sparkling and streak-free. That way, you can enjoy the summer sun, unimpeded by any unsightly stains and grime, for as long as it lasts. We’ve come along way from buckets and mops! As time passes, technology continues to advance, making it easier for people to live their lives. Just about every industry you can think of has gone through its technological evolution, creating a more efficient and productive means of getting work done. This fact can especially be applied to the world of window cleaning, where engineers and various cleaning professionals have displayed great ingenuity for their craft. And guess what? Today, we are sharing an infographic which explains all the benefits of both the traditional and modern techniques of window cleaning. There is almost no point in having the most beautiful building in an area if your windows are dirty. It is not difficult to lose the elegance of architecture behind the dust and grime that tends to build on unkempt windows. This infographic is for those who appreciate the value of pristine presentation. Keep attention on the beauty of your home or building as opposed to dirty windows. The basics of both traditional vs. Modern Technique of cleaning. When it comes to window washing, it isn’t always wise to discard the old for the new. There are certain circumstances (i.e cleaning interior windows) when traditional cleaning is recommended. The advantages and disadvantages of traditional and modern cleaning methods. How much you could earn as a professional, or spend on your home. Countries where each method is commonly used. There is much more to discover in our fun and practical infographic. 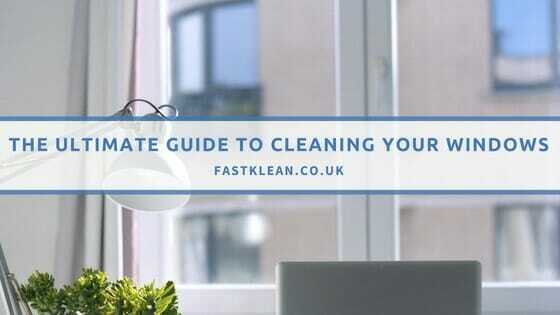 From all your friends over at FastKlean, we’d like to wish you happy window cleaning! We hope you remember us next time you are looking to restore the prestige of your building or home by having clean windows. Very informative blog post, thank you!